Factors largely beyond individuals’ control, such as bad weather and dwindling fish stocks, are threatening livelihoods. “Whenever I went fishing and the weather turned bad, my family would go without food for that day unless I picked something from the house and sold it for money to buy them food,” one fisherman told us. Compounding these livelihood and environmental pressures, communities within the basin lack access to health services. Environmental degradation and poor access to health care create a cycle of economic and health insecurity. The subsistence fisher folk and farmers who inhabit the Lake Victoria Basin are keenly aware of these factors. Working with communities to identify environmental and health interventions that are locally relevant and contextually appropriate, Pathfinder International and its partners (Ecological Christian Organization in Uganda, several environmental and health partners in Kenya, the Population Reference Bureau, and ExpandNet) are currently implementing the Health of People and Environment in Lake Victoria Basin (HoPE-LVB) Project in Uganda and Kenya. The overarching goal is to improve natural resource management around the lake while simultaneously improving sexual and reproductive health outcomes. HoPE-LVB is a population, health, and environment (PHE) project, but from its inception in 2011, the team incorporated a refreshing new angle into this integrated approach: beginning with the end in mind. Recognizing that the challenges experienced by communities in the basin reverberate across the region, the project was designed with the idea of implementing and adapting the approach during phase one (2011-2014) and scaling it up during phase two (2014-2017). Building on ExpandNet’s expertise, Pathfinder and its partners engaged stakeholders from multiple sectors (health, environment, agriculture, youth) at multiple levels (district, county, sub-county, national, and regional) in a process that fosters potential for scale from the project’s beginning. By thinking about scaling up from the project’s inception, being a very participatory approach, and by bringing in many different stakeholder viewpoints, this process is expected to lead to increased institutionalization of the HoPE-LVB approach. We also hope this process will open other structural pathways for improved regional, community, and household resilience. Pathfinder recently released a technical report on phase one of the project, dissecting the HoPE-LVB strategy, explaining early findings and challenges, and highlighting key components that stakeholders are finding compelling thus far. 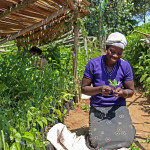 One of the most compelling components of HoPe-LVB has been the benefit conferred by activities that simultaneously promote sustainable natural resource management and livelihood diversification. Pervasive poverty contributes to unsustainable farming and fishing practices, such as slash-and-burn agriculture and the capture of immature fish, which may confer a short-term benefit but are untenable in the long term. 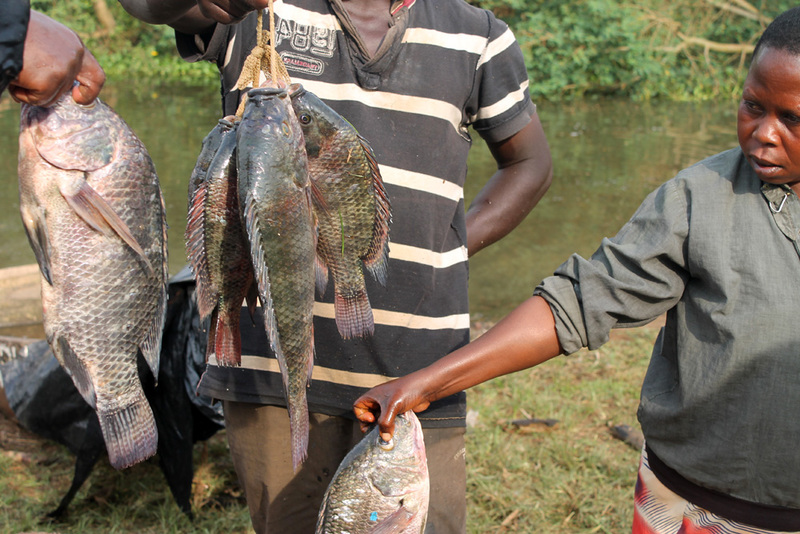 Diversifying livelihood options reduces dependence on fishing and farming, making individuals less vulnerable to environmental stressors and reducing pressure on ecosystems. 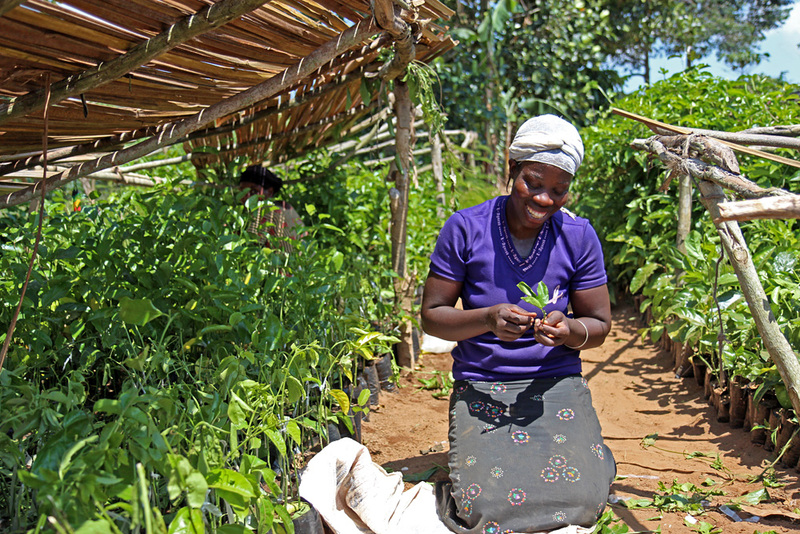 Throughout the project’s first phase, community groups constructed 7,383 energy efficient stoves (4,544 in Uganda and 2,839 in Kenya) and planted 258,977 trees (240,884 in Uganda and 18,093 in Kenya). The sale of stoves and trees resulted in profits exceeding $10,000, and community groups have invested this money in other income-generating activities, such as poultry keeping. Another key HoPE-LVB component is the project’s demonstrable progress spreading health and environmental messaging through different avenues. The project team has successfully worked with different community groups, from young mothers to beach management units, to help them become advocates for not only sustainable agricultural and fishing practices, but gender equality, maternal health, and healthy timing and spacing of pregnancies. These non-traditional, non-health groups are now even permitted to refer people for health services. Along with other interventions (i.e., community health outreach, improved service quality at health facilities, and male engagement in sexual and reproductive health), expansion of the referral system likely contributed to increased use of essential sexual and reproductive health services throughout HoPE-LVB’s first phase. The number of women giving birth with a skilled attendant present increased from 124 at baseline (July-September 2012) to 393 by the final quarter of the first phase (July-September 2014), with a particularly notable jump among young mothers (aged 12-24). Use of contraception also increased, with the number of women accessing contraception for the first time increasing from 263 at baseline in Uganda to 3,369 during the project’s third quarter (January-March 2013). Similarly, in Kenya, the number of new contraceptive users increased nearly fivefold from 102 at baseline to 485 by the final quarter of the first phase. Qualitative data from the project’s midterm review suggests that engaging non-traditional community groups helped to normalize participation in sexual and reproductive health interventions and address common myths and misconceptions. Data also demonstrated shifts in gender dynamics, which are more fully detailed in the full technical report. As the global community continues to refine the post-2015 development agenda, sustainability, equity, and inclusivity are rising to the fore. Integrated PHE projects that are rooted in community needs and geared toward advancing rights, such as HoPE-LVB, represent an ideal avenue for holistically addressing the complex web of integrated challenges affecting subsistence communities around the world. Sarah Mehta, MPH, works for Pathfinder International as the technical advisor for program documentation. Cara Honzak, MPAff, and Cheryl Margoluis, PhD, serve as the senior technical advisors for population, health, and environment at Pathfinder International. Pathfinder and its partners are grateful for the generous support of HoPE-LVB donors: the David and Lucile Packard Foundation, John D. and Catherine T. MacArthur Foundation, USAID via the Evidence to Action (E2A) and IDEA Projects, and Barr Foundation. Sources: Bremner et al. (2013), Pathfinder International. Photo Credit: Used with permission courtesy of Linda Suttenfield and Dorah Taranta/Pathfinder International. Thanks for sharing the progress made by this project especially wrt to working with communities to confront poverty challenges. Institutions like Ministries responsible for water, fisheries, agriculture and others, that are supposed to implement supportive policies and laws need to move in tandem with such interventions. Unfortunately this is not the case, resulting in failure to upscale and / or sustain such interventions in the LVB.